Its Friday , I can BARELY stand it ! If I showed you my calendar and my obligations for the week you would commit me so I wont. But lets just say… I was a tad stretched this week. Today was a welcome slow down as there was nothing planned. Ms Dallas had a planned day off today so I took advantage of the situation and decided to be ” present.” You know you can be ” with” your kids all day and not really there ? That is how I felt most of the week. My mind was racing to what I had to do next. Today , I played. I calmly worked my way through my lesson plan instead of rushing . I was present. Kilee came back today after a week of being gone. 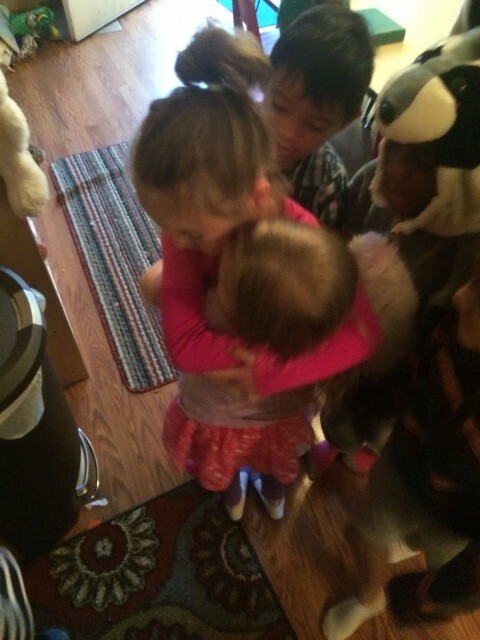 Our preschool family really missed her. 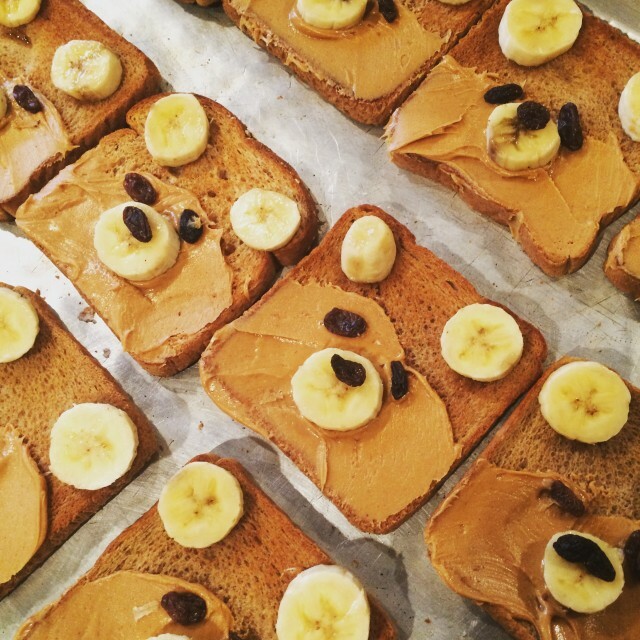 We ate bear toast for breakfast ! 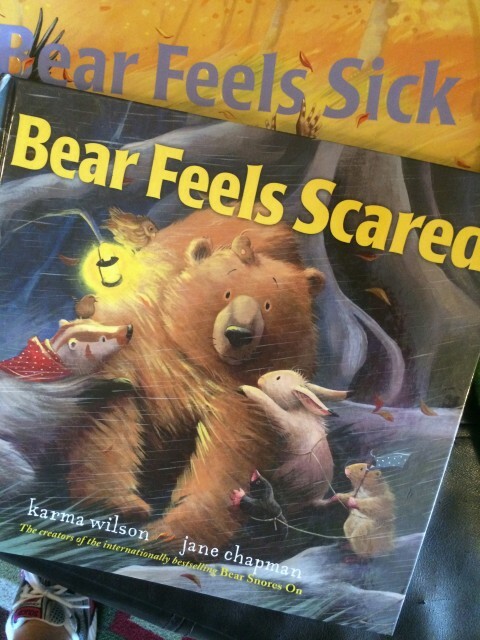 Another thing we did today was read two books about ” bear .” One of the books was ” Bear Feels Scared.” We talked about how Bear could use our calm down techniques when he was scared . 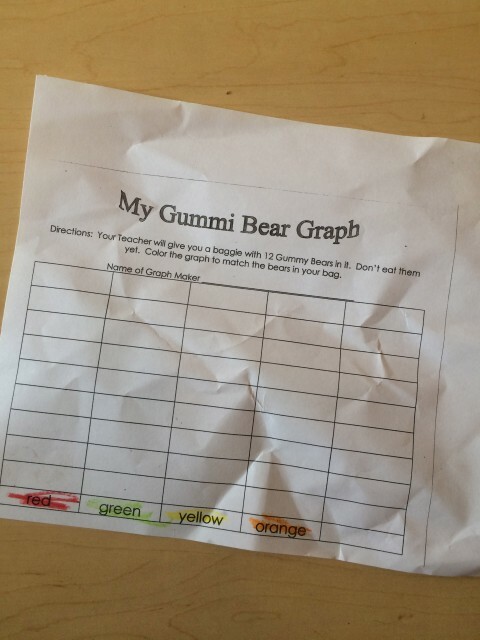 On each page when it said he was scared we talked about which he would use . Sometimes he used the balloon or the drain and others he used the Santa. We made that one up last year. You hold your hands out in front of you like a big santa belly and as you breathe in you pull your hands up and as you breath out and your arms go down you say Ho Ho Ho…… The kids love it. 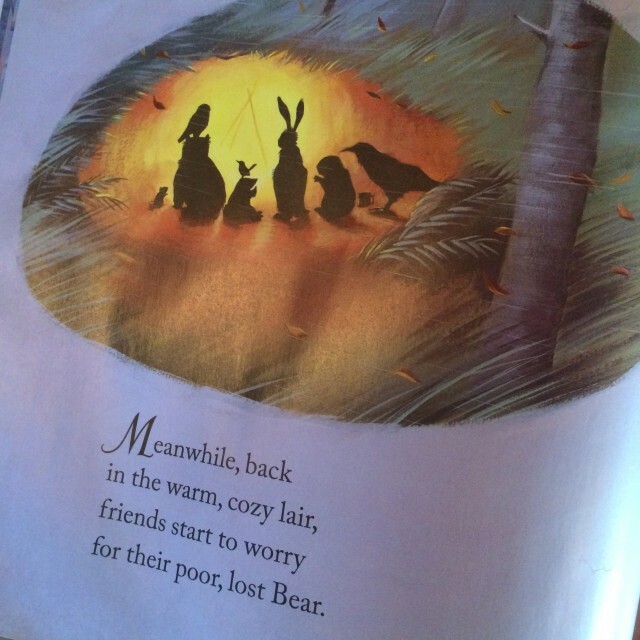 We also read a page that described bears friends getting worried and wondering where he was. We decided they would wish him well.